We are currently out of stock of this item, and apologise for any inconvenience. There are TWO (2) Version of the XKP Keypad, a Wireless version, and a BUS version. 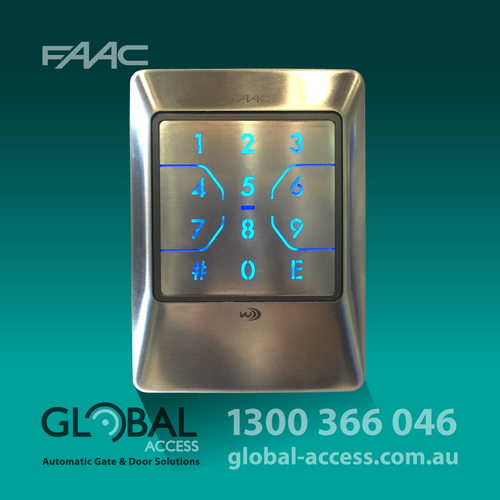 The XKP keypads are available in an INOX (Stainless Steel) finish; back body is painted aluminium and INOX surface + cover. 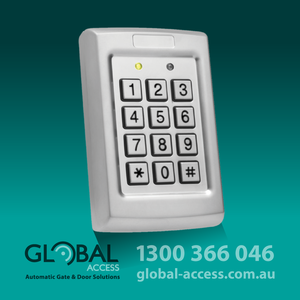 The keypads are extremely compact, with a thickness of only 21mm. Both keypads look identical, however the Wireless version has a 'W' for Wireless, and the BUS version will have '2easy' engraved onto the front so that both versions are easily distinguishable. Both models have BLUE LED back-lighting. EASY: Simple to setup and all users use the same code to activate/trigger. ADVANCED: More complex to setup and users can set a maximum of 255 unique (different) codes.